I am posting this Kundalini meditation today in honor of all the people out there putting time, energy and thought into moving forward in their lives, releasing the past to find freedom in the here and now and beyond. By far the most viewed post on this blog so far has been the kriya to “Burn Inner Anger“. Everyday people search for advice on how to burn anger and many of those searchers view my post. I am very happy that this technology is being shared. 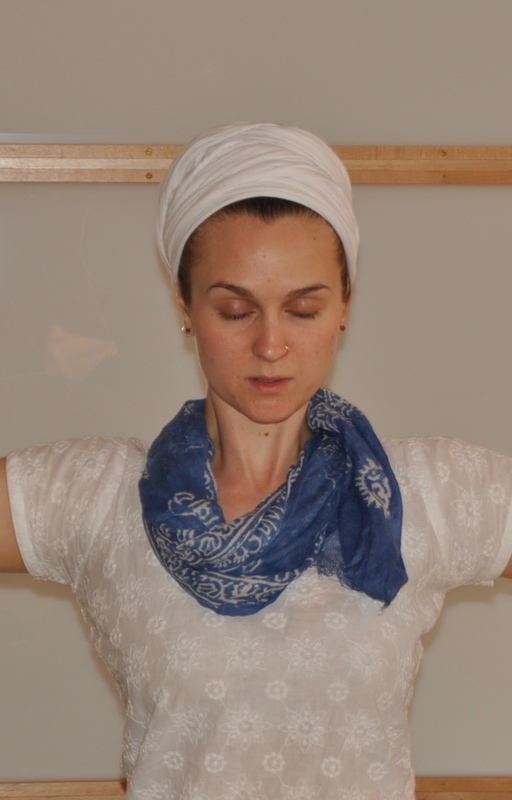 Kundalini Yoga offers many powerful practices to help you have a greater understanding of your self/Self. These techniques aid us in our work to move beyond the past and to release the holds on us that impede our freedom and happiness Yogi Bhajan always said that “Happiness is our birthright”. This post is dedicated to all you beautiful searchers and seekers doing the work to move beyond your self-imposed limitations. I honor you on your path and encourage you to continue to be brave and courageous! It can be tough looking at your own baggage. It takes discipline and will-power to stick with practices that challenge you to own up to yourself and to others. “Keep up and you will be kept up!” in the words of Yogi Bhajan. If you don’t do the work now, you’re going to have to do it later down the line, if not this lifetime, then the next. This meditation is specifically designed to help release anger stored in our systems from childhood. This is old anger, stuff that’s been pent up for a long time. It’s hard to bring up stuff buried that deep. It takes work! You must breathe and push through it! Offer it up to God and surrender to the practice. Tune in by chanting “Ong Namo Gurudev Namo” 3 times. Sit in Easy Pose (comfortable cross-legged position). Straight spine, chin slightly tucked in. 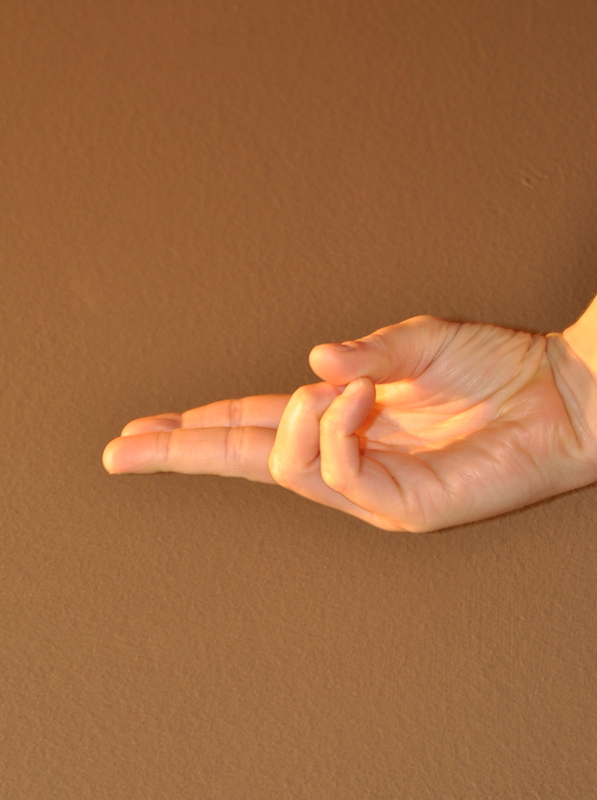 Hands are in a mudra – the Mercury (little finger) and Sun (ring finger) fingers are locked down by the thumb. The Jupiter (pointer) and Saturn (middle) fingers are extended straight. The palms face forward. Close the eyes and roll your gaze up to the 3rd eye point, between the brows. Inhale powerfully through closed teeth. End by inhaling and suspending the breath while you stretch up and out for 10 seconds. Repeat 2 more times. Close by chanting 3 long SAT NAMs. This meditation can be practiced in the morning or the evening, though Yogiji did remark that if practiced in the evening, one would feel a whole new caliber and energy in the morning. Try practicing it everyday around the same time for 40 days in a row. You will be influenced by this practice profoundly. Be courageous and don’t forget to BREATHE! « Tasty Vegan Pumpkin Muffins – warm and sweet on such a soggy day!